Preheat the oven to 180°C. Place foil sheets, slightly overlapping, on a large baking tray. Place salmon on the foil. 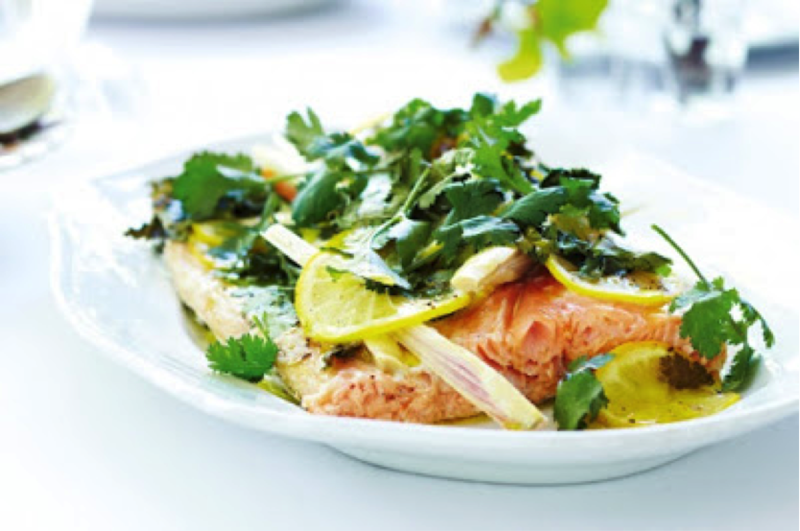 Top with lemon, lime leaves, lemongrass, and coriander. Bring two long sides of foil up to centre. Fold to seal. Roll up ends to enclose salmon. Bake for 30 minutes for medium or until cooked to your liking. Cool to room temperature, then cover and refrigerate until ready to serve.